Michael R. O’Connor passed away on January 31, 2019 with his loving wife, Shawn, by his side. Mike’s incredible life adventure began October 15, 1952 in Japan, where he was born to Edmund and Rita O’Connor. He graduated in 1975 from Ohio State University with a degree in Civil Engineering. From there, Mike went to the great state of Alaska, where he worked on the Alyeska Pipeline and then at Price/CIRI Construction until the formation of Peak in 1987. From 1987 until his retirement in 2014, Mike was President and CEO of Peak Oilfield Service Company where together with his employees, built Peak from its humble beginnings to a premier service contractor. Mike loved Alaska and helped make Anchorage a better community with his many civic contributions including - Director and Fundraising Chair of Special Olympics World Winter Games 2001; Member of Commonwealth North; Cabinet Member for the United Way of Anchorage; Former Member of the Long Range Financial Planning Commission; Former President of the Board of Directors of the Petroleum Club of Anchorage; Former President of the Board of Directors of Alaska Special Olympics; Former Board Member of the Resource Development Council; Commissioner Workers’ Compensation Board State of Alaska; Board of Directors Anchorage Park Foundation; Capital Campaign Committee Blood Bank of Alaska; Recipient of Lost Lake Run Marsha Vincent Award, Co-Founder and Treasurer of the Scotty Gomez Foundation, Original Organizer of the 35 year Charity Ciri Golf Classic. In both his professional and personal life, Mike was a champion for a number of charitable causes. 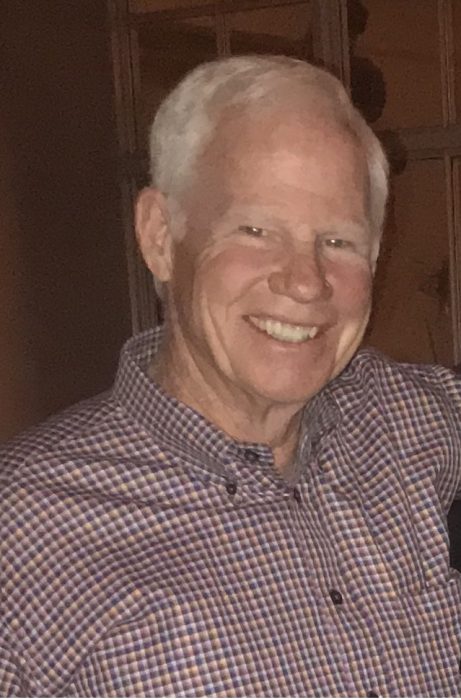 Mike enjoyed the great outdoors, golfing, traveling, time spent with his many valued friends and family and had an innate ability to draw people in with his charismatic smile and larger than life personality. He will be remembered as a devoted husband, someone who cared deeply for his family and his employees, and a tremendous leader and mentor who connected effortlessly with people. Mike unselfishly shared his kind and generous heart with friends and strangers alike. Mike is survived by his wife, Shawn; brothers, Bill of San Diego, CA and Terry of McLean, VA; sister, Patsy (Fred) Gahr of Kansas City, MO; sister-in-law, Peggy (Bob) Walls of Albuquerque, NM; brother-in-law, Russ Moore of Fremont, NE; and sister-in-law, Pam (Merle) Goswick of Fremont, NE as well as many nieces and nephews. Mike was preceded in death by his parents and his sister-in-law, Mary Ann O’Connor. Mike never let cancer stop him from living life to the fullest. He was one of a kind and we were all so blessed to have had him in our lives. Funeral Mass will be held at St Patrick’s Parrish in Anchorage on Monday, February 25th at 1:00 P.M. with a Celebration of Life to follow at the Alaska Native Heritage Center in Anchorage. Memorial donations may be made to the Scotty Gomez Foundation, PO Box 111294, Anchorage, AK 99511.